Interesting interview up on GigaOM today, featuring Microsoft‘s Chief Software Architect and industry luminary Ray Ozzie talking about MS’s strategy, the economics of cloud computing and the relevance of desktop and infrastructure challenges. OM: The costs of computing, hardware and bandwidth are dropping quickly. Do you believe that the cost will come down fast enough to make cloud computing actually a profitable business? 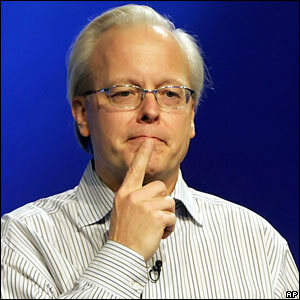 RAY OZZIE: Well, it’s unlikely that we would get into it if we didn’t think it was going to be a profitable business. So we’ll just manage it to be profitable. It’s going to have different margins than classic software, or the ad (-supported) business. But, we have every reason to believe that it will be a profitable business. It’s an inevitable business. The higher levels in the app stack require that this infrastructure exists, and the margins are probably going to be higher in the stack than they are down at the bottom. OM: When do you think utility computing can be a profitable business; are we’re looking at like maybe two years, four years out before it actually starts to become a profitable entity? RAY OZZIE: (Let’s) take (one company) who is in the market today: Amazon. They chose a price point. There are either customers at that price point or not. They may have priced themselves at expected costs as opposed to actual today costs, but it doesn’t really matter. They could have brought it out at twice the existing price and there still would have been a customer base, and they’d be making money at birth. I think all of these utility-computing services, as they’re born will either be breaking even or profitable. At the scale that we’re talking about, nobody can afford, (even Microsoft) can’t afford to do it at a loss. We could subsidize it, I suppose. Google could subsidize it by profits in other parts of their business, we could subsidize it, but I don’t think there’s any reason that any of us in this world would bring out that infrastructure like this without charging for what we’re paying, and then trying to make some profit over it. The cost base is so high in terms of building these data centers you do want to kind of make it up. Read the rest of the (edited) interview here.